Hey guys. Maybe because it’s the holiday season, but I can’t seem to stop giving stuff away! 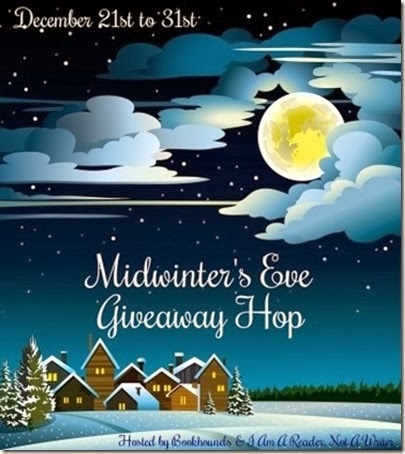 This fun blog hop is hosted by the awesome chicks at BookHounds & I Am a Reader Not a Writer. My prize is something so cool that I found on one of my favorite gifty websites. Personal Library Kit – ‘Tis good to share beloved books, but better to get them back. 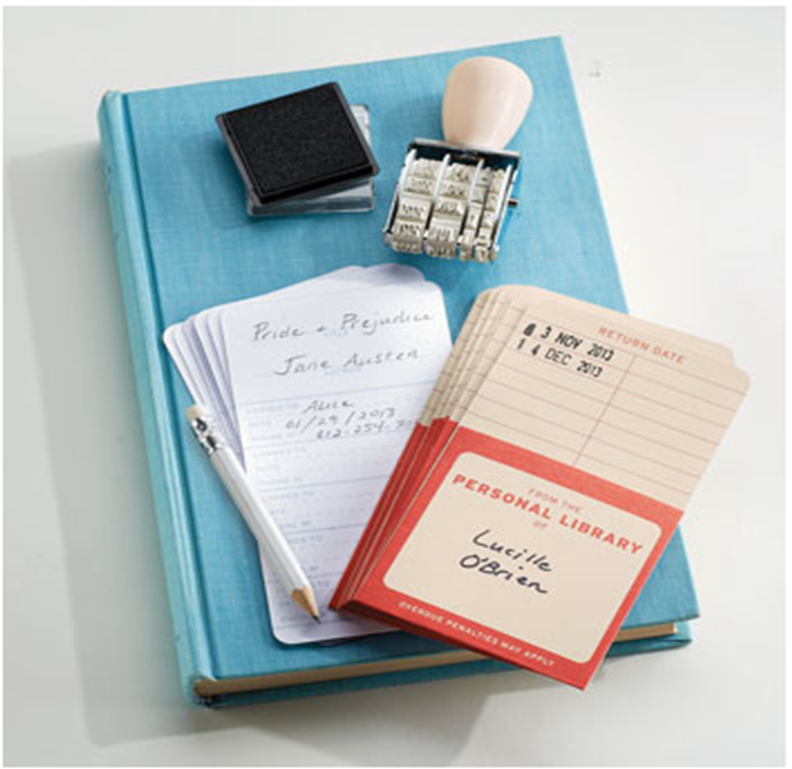 Safeguard your precious library with old-fashioned library tools: self-adhesive pockets & checkout cards, date stamp & inkpad. You’ll be all set to share! Oh my gosh! I just love this! I might get past my phobia about lending my books if I had this. I've so many books stolen, it's pathetic. One person even lied and said he'd returned a book…since it was a Stephen King book and I have them all extremely organized and the hole was still there, it was quite obvious he was lying. Plus, he'd borrowed it without permission (stolen it), since I don't lend my King books, ever, and had told him so (he'd sneaked out of the house with it). My sister was actually going to get me this for Christmas, except all the websites she went to were sold out!